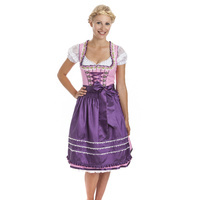 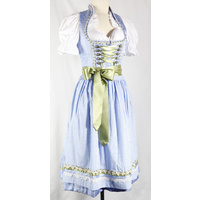 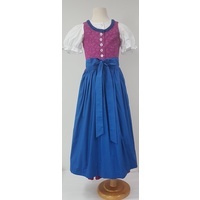 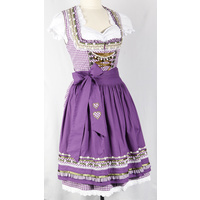 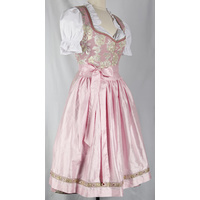 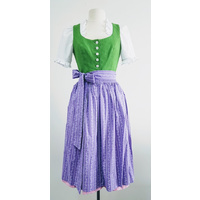 The Midi Dirndl "Donna" is one of our traditional Dirndl. 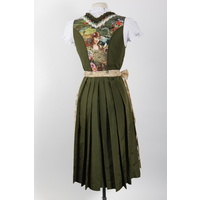 Bright green linnen fabric on Top and vibrant Burgundy at the skirt is a real eye catcher. 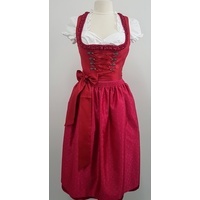 The fine Linnen on the Bodice has burgundy piping. 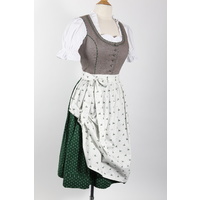 The small flower metal buttons continue the traditional Design. 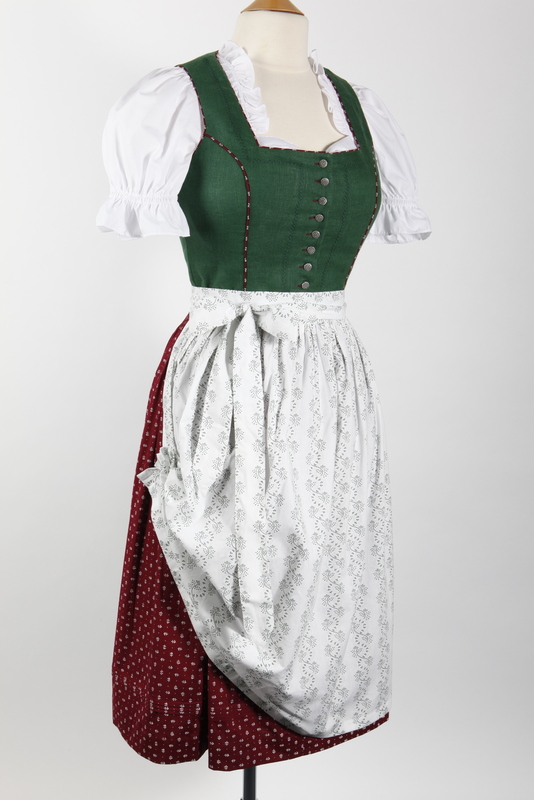 The highlight is the apron in white linnen with a green pattern of small leafes.